CBD is one of the best things to happen to the consuming public in a very long time. This is most evident in the benefits of CBD vape, which grants the benefits of vaping and CBD. There are tons of benefits to vaping and CBD, so combining them creates the perfect storm of good health. Vaping CBD is one of the few non-addictive ways to alleviate pain and cope with the stress of life. Vaping CBD also doesn’t have the terrible side effects of hard drugs, either, and you can stop when you want. This guide will teach you some of the ways you can use a CBD vape to live a healthier life. So read on and commit these tips to memory. Soon enough you’ll be wondering how you ever lived your life without vaping CBD all along. Vaping has been proven to help smokers quit smoking. This usually works by getting vape juice with nicotine, then lowering the amount of nicotine in the juice until the craving is gone completely. Vaping also fills the oral fixation many smokers develop. This is because vaping involves putting your mouth on a tube and inhaling the vapor. So how does vaping CBD help this process? Many smokers at any stage of quitting become easily irritated, anxious, and depressed. Luckily, relieving anxiety and depression is one of the key benefits of vaping CBD. So not only will vaping help you quit smoking, but CBD vape benefits also treat some of the withdrawal symptoms. CBD has been effective at relieving pain when paired up with small amounts of THC. This happens because humans have an endocannabinoid system in charge of things like pain and sleep. Endocannabinoids are neurotransmitters secreted by the nervous system. CBD acts on these and cannabinoid receptors in your brain to help relieve pain. This is good news for anyone suffering from multiple sclerosis or arthritis. Studies have shown that people with MS have gotten pain relief from CBD, and there’s potential to help treat arthritis as well. When you vape CBD you are likely to feel the effects much quicker than by ingesting oils or through edibles. Vaping causes the CBD to go directly into the lungs where it can enter your bloodstream and get to your brain at lightning speed. Eating an edible or oil, however, requires you to wait for your digestive system to fully absorb it all. Furthermore, you can respond more quickly whenever pain flares up. Or, if you only want the calming feeling of having CBD in your system, it’s readily available for that too. One of the most well known and studied effects of CBD is that it helps relieve anxiety. This makes the benefits of vaping CBD even more prominent. 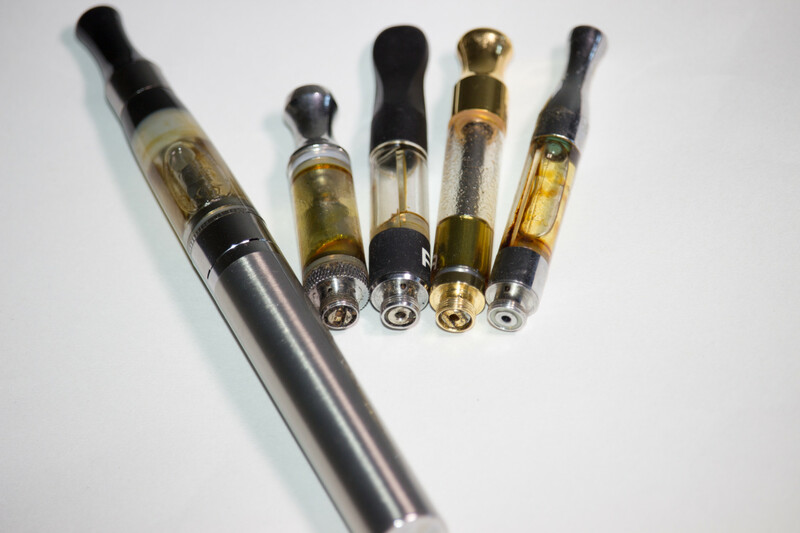 Vaping CBD is one of the fastest ways to activate it and feel the effects. Now you can vape whenever you feel a sudden increase in anxiety, and have it go away. Though it might be best to excuse yourself if you feel the people around you aren’t comfortable with vaping. Vaping CBD when you get up and continuing to vape CBD throughout the day can also help you. By vaping intermittently, you could avoid getting anxiety all day. Or at the very least, reduce the amount of anxiety you do feel. If you combine CBD with terpenes, there’s a lot you can do to improve your mood. You can click the following link to find out if the benefits of CBD vape with terpenes is right for you. Depending on what kind of CBD oil and terpene combo you get, the CBD vape benefits will be different. CBD oil is already able to treat some symptoms of depression, but if you combine it with terpenes, you can alter your mood in other ways. Terpenes are fragrant oils found in plants that repel or attract different insects so they can be pollinated. Terpenes also have different effects on the human psyche. So, if you’re feeling depressed, you can vape CBD with alpha-pinene or beta-pinene, as these are known to increase alertness and give you energy. One of the biggest CBD vape benefits is that it helps you sleep better. This happens as a natural side effect of any CBD oil and can be modified to enhance or decrease this effect. But if you are looking for a way to sleep better at night, vaping CBD is definitely the way to go. The benefits of CBD vape are life-changing. You won’t have to walk around with a crippling addiction to nicotine. You also won’t have to worry about getting cancer from cigarettes. An added plus is that you also won’t have to waste money buying a new pack of cigarettes every day. Your anxiety about getting cancer and your anxiety, in general, will practically disappear before your eyes. And vaping is a great pick-me-up for the middle of the day. It also helps that vaping is a fun thing to do in general. And unlike cigarettes, you can stop using your vape if it’s not for you. For more tips on how CBD can change your life, and other ways you can ingest CBD, check out one of our blogs.